The Casey Foundation’s work focuses on strengthening families, building stronger communities and ensuring access to opportunity, because children need all three to succeed. They advance research and solutions to overcome the barriers to success, help communities demonstrate what works and influence decision makers to invest in strategies based on solid evidence. Comprised of Camden healthcare providers, community partners, and advocates, the Coalition is committed to elevating the health of patients facing the most complex medical and social challenges. The non-profit organization works in the community to improve health and reduce costs, innovate and test healthcare delivery models to improve patient outcomes, and reduce the cost of their care using data driven, human-centered practices. Drawing on the experiences of clinical teams and patients, Coalition staff also work to transform healthcare cost and delivery at the policy level. With over a decade of experience working with vulnerable populations in the city, the Camden Coalition helps other communities across the nation to help them implement Coalition philosophies and methods. 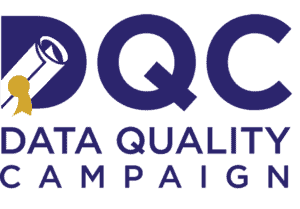 The Data Quality Campaign (DQC) is a nonprofit, nonpartisan, national advocacy organization based in Washington, DC. Launched in 2005 by 10 founding partners, DQC now leads a partnership of nearly 100 organizations committed to realizing the vision of an education system in which all stakeholders—from parents to policymakers—are empowered with high-quality data from the early childhood, K–12, postsecondary, and workforce systems to make decisions that ensure every student graduates high school prepared for success in college and the workplace. To achieve this vision, DQC supports state policymakers and other key leaders to promote the effective use of data to improve student achievement. As part of its multi-sector data and information system focus, the Robert Wood Johnson Foundation launched Data Across Sectors for Health (DASH). DASH aims to identify barriers, opportunities, promising practices and indicators of progress for multi-sector collaborations to connect information systems and share data for community health improvement. The DASH National Program Office (NPO), led by the Illinois Public Health Institute (IPHI) in partnership with the Michigan Public Health Institute (MPHI) and with support from the Foundation, is responsible for leading DASH. DASH supports collaborations that seek to improve the health of their communities, promote health equity and contribute to a Culture of Health by strengthening information sharing, engaging additional sectors and building sustainable capacity. DASH aims to create a body of knowledge and advance this emerging field by identifying and sharing opportunities, barriers, lessons learned, promising practices and indicators of progress for sharing data and information across and beyond traditional health sectors. Future of Privacy Forum (FPF) is a nonprofit organization that serves as a catalyst for privacy leadership and scholarship, advancing principled data practices in support of emerging technologies. LJAF works to develop and support initiatives that encourage governments and nonprofit organizations to help build the evidence base for social interventions and to consider reliable evidence as one of the primary factors in their decisions. The goal is to ensure that limited resources are spent wisely on programs that produce meaningful, lasting improvements in people’s lives. We fund rigorous evaluations to determine whether programs are effective and work to incentivize the widespread adoption of approaches that have been shown to make a difference. In addition, LJAF is bringing policymakers, researchers, and data experts from the public and private sectors together to strengthen the infrastructure and processes needed to support evidence-based decision making. 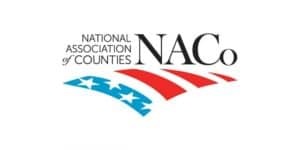 The National Neighborhood Indicators Partnership (NNIP) is a collaborative effort by the Urban Institute and local partners to further the development and use of neighborhood information systems in local policy making and community building. Results for America is helping decision-makers at all levels of government harness the power of evidence and data to solve our world’s greatest challenges. Their mission is to make investing in what works the “new normal,” so that when policymakers make decisions, they start by seeking the best evidence and data available, then use what they find to get better results. 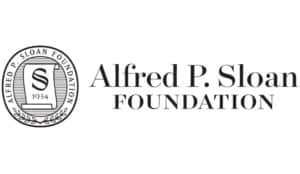 The Alfred P. Sloan Foundation believes that a carefully reasoned and systematic understanding of the forces of nature and society, when applied inventively and wisely, can lead to a better world for all. The Foundation makes grants to support original research and broad-based education related to science, technology, and economic performance; and to improve the quality of American life. Though founded in 1934 by Alfred P. Sloan Jr., then-President and CEO of General Motors, the Foundation is an independent entity and has no formal relationship with the General Motors Corporation. The Foundation is unique in its focus on science, technology, and economic institutions. It believes the scholars and practitioners who work in these fields are chief drivers of the nation’s health and prosperity. Third Sector, a nonprofit advisory firm, uses contracting and finance incentives to align diverse funding streams with social impact in communities across the United States. The Third Sector team brings extensive experience managing projects with diverse groups of stakeholders, economic modeling, fundraising, impact investing, evaluation, and data analysis. Urban Spatial consults at the intersection of data science and public policy. 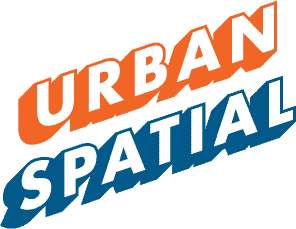 Founded in 2014 by Dr. Ken Steif, Urban Spatial combines spatial analysis, econometrics and predictive analytics to help government, business and the non-profit sector more efficiently allocate their limited resources across space. While their placed-based emphasis makes us unique, the real value-added is Urban Spatial’s ability to work across multiple related domains including urban economics, housing, neighborhoods, city & environmental planning, business siting, governance, economic development, public safety and beyond. The ADRF Network is an evolving grassroots effort among researchers and organizations who are seeking to collaborate around improving access to and promoting the ethical use of administrative data in social science research. ADRF connects US-based administrative data holders, users, and intermediaries and engage with privacy leaders and other stakeholders to transform this emerging field through research conferences, summits, and working groups. APHSA pursues excellence in health and human services by supporting state and local agencies, informing policymakers, and working with our partners to drive innovative, integrated, and efficient solutions in policy and practice. BrightHive is an impact-driven data technology company using a suite of smart data collection, integration and governance products to transform the way social services providers share data, make decisions, and affect the behavioral outcomes of beneficiaries. The Kauffman Foundation strives to have a national impact and global reach by working together with communities around the country to create opportunities and connect people to the tools they need to shape their futures and be successful. The Kauffman Foundation believes that opportunity lies in the fields of education and entrepreneurship — which founder Ewing Kauffman saw as two ends of a continuum. 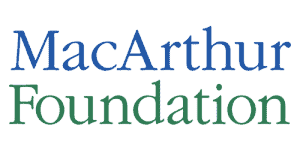 The John D. and Catherine T. MacArthur Foundation is one of the nation’s largest independent foundations. Through the support it provides, the Foundation fosters the development of knowledge, nurtures individual creativity, strengthens institutions, helps improve public policy, and provides information to the public, primarily through support for public interest media. MDRC is committed to finding solutions to some of the most difficult problems facing the nation — from reducing poverty and bolstering economic self-sufficiency to improving public education and college graduation rates. They design promising new interventions, evaluate existing programs using the highest research standards, and provide technical assistance to build better programs and deliver effective interventions at scale. MDRC works as an intermediary, bringing together public and private funders to test new policy-relevant ideas, and communicate what we learn to policymakers and practitioners — all with the goal of improving the lives of low-income individuals, families, and children. MetroLab Network is a City plus University Collaborative for Urban Innovation. The Network includes 44 cities, 6 counties and 60 universities. Metrolab helps drive partnerships between local governments and universities, poised to help the public sector adapt to rapid technology change. Project Evident is a shared-services platform that offers nonprofits and funders the best available resources for data, learning, and evaluation and believe a new, strategic approach to evidence building will help address the problems nonprofits, funders, and researchers face when they seek to create and run evidence-based programs.